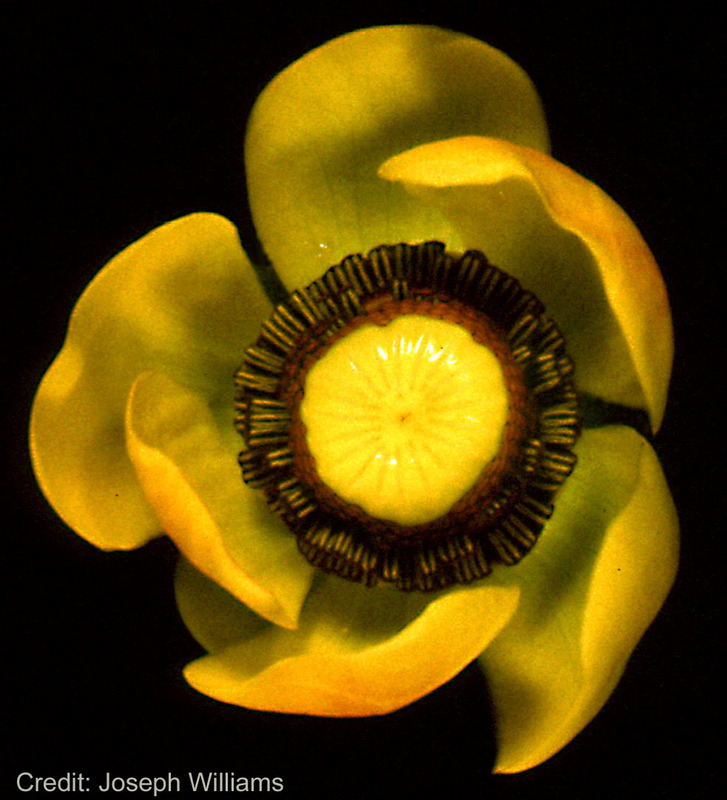 The flower of Nuphar polysepalum, or pond lily. 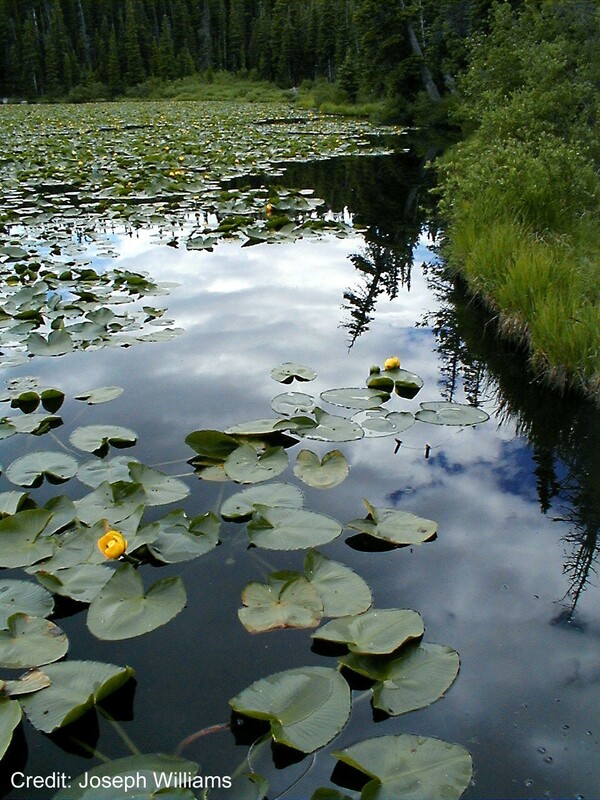 Nuphar polysepalum, or pond lily, occurs throughout the northern hemisphere in cold climates, and is pictured here in a high altitude lake in Colorado, USA. 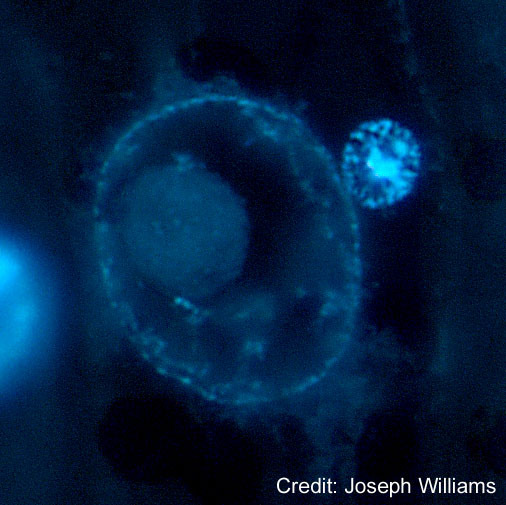 Double fertilization in Nuphar involves the fusion of sperm and egg (not shown) as well as a second fertilization event: the fusion of a sperm nucleus and a central cell nucleus as shown here.